This book is packed full of behind-the-scenes gems. 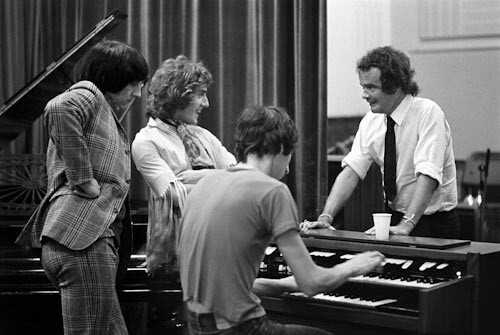 Here we find Baron in the studio while The Who record what will become the album ‘Tommy’. It’s 1968, Baron’s photographing George Harrison on this trip and it’s after this session with the Who that he went to visit Mick Jagger on the set of ‘Performance’.